Things got a whole lot brighter on Route 100 in Waterbury last Tuesday, when Pete's Greens Farm Market opened at 2802 Waterbury-Stowe Road. And yes, that Pete is indeed Pete Johnson, who started his Craftsbury farm Pete's Greens in 1995. 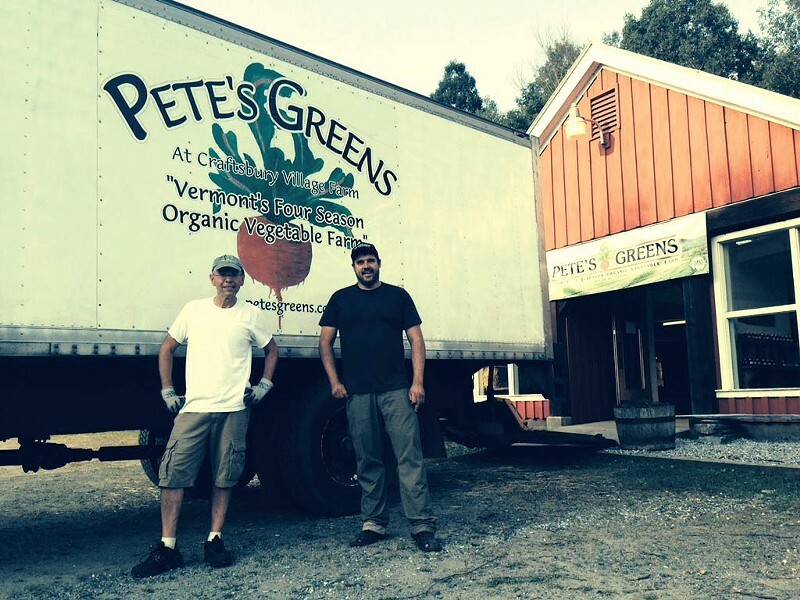 This is the farm's first store outside its home base, where the Pete's Greens Farmstand sits adjacent to the fields. "We've been looking for a site on Route 100 in Waterbury near the interstate for a couple years," says the farm's longtime wholesale sales manager, Tim Fishburne. Having found the perfect space to lease, though, the Pete's team had to scramble to get it ready by late July. "We were on and off the fence. We're almost into August, and we were worried about the season," Fishburne recalls. "But after the first three days [open], we were feeling like Oh yeah, this is the right thing. After the first week, it's, like, 'Why didn't we do this sooner?'" It's no surprise that Pete's Greens, known for its wholesale supplying to restaurants, its retail and farmers market presences, and its Good Eats CSA, is bringing in fans and new travelers looking for a taste of its colorful produce. The eponymous greens are a hit, of course, and the massive variety of fruits and veggies for sale currently includes berries, cucumbers, zucchini, beets, new potatoes and onions. Like the CSA share, the store offers plenty of provender beyond what Johnson and co. pull from the ground. Products for sale also include honey, cheese, yogurt, grains and maple syrup. Manager Mark Frano is working to improve the stock of salads and other simple prepared foods from the farm. Johnson currently has a four-month lease on the Route 100 space, but given the warm reception so far, Fishburne says he hopes it will become a permanent outlet for the farm. The original print version of this article was headlined "Green-Up Waterbury"